Craig is the Country Head for Elders Limited in China. He first came to China in 1992 on a Griffith University language scholarship to complete his bachelor degree in International Business. 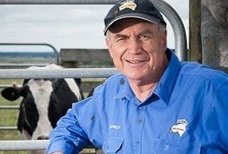 Craig returned to Australia in 1994 to run his family's abattoir and meat distribution Company in Queensland. Since then, he has been leading companies in the food, beverage and agriculture sectors in both Australia and China. Craig has been based permanently in Shanghai since 2007. During that time he has been instrumental in tripling the sales of Elders food business in China and developing the Company to a profitable position. He has built an extensive network of clients in hotels, restaurants and supermarkets throughout China and has rich experience with market access issues and the legal regulatory framework for food processing and distribution. Blue Sky is an specialist and leading alternatives funds manager founded in 2006 and now listed on Australian Stock Exchange. Focused on four major alternative asset classes – Real Assets (water, agri infrastructure and agribusiness), Private Equity, Private Real Estate and Hedge Funds, Blue Sky has published returns of 15.3% per annum (net of fees) since inception. With over A$1 billion AUM, Blue Sky pioneered water rights as an institutional investment asset, is an earlier mover on agri infrastructure and agri private equity. The Real Asset strategy has returned 13% per annum (net of fees) since inception. 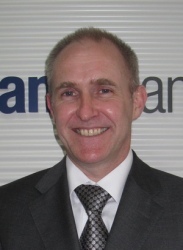 Michael has over 15 years direct agricultural management and investment experience, in Australia and Asia-Pacific. Michael has designed, deployed, managed and divested large scale agricultural investment portfolios for a variety of institutional and private investors. With strong qualifications, deep industry networks and active investments that support his experience across the sector, Michael is well positioned to comment on how the Australian Agri investment sector is evolving. 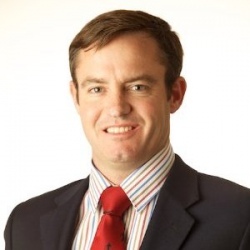 James Campbell’s career spans 15 years in accounting (KPMG) and banking (ANZ) with a consistent specialist focus on agricultural business. A mobile approach to his career resulted in roles managing Institutional Banking portfolios in China, Victoria, Queensland & Northern Territory, and New South Wales. James recent appointment to Sydney-based Sanger sees him return to Australia after four years based in Shanghai as Head of Agribusiness, China at ANZ. James is a member of the Institute of Chartered Accountants in Australia (‘ICAA’), and holds a double degree in Commerce (Accounting) and Business Administration from the University of Canberra. During his time in China, he served 2-terms as a Director of the Australian Chamber of Commerce in Shanghai (AustCham Shanghai). 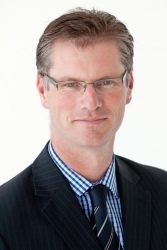 Dr Scott Champion has been the Chief Executive Officer of Beef + Lamb New Zealand and its predecessor body since September 2008. Before this role Dr Champion was the General Manager, Market Access and Services with Meat & Wool New Zealand and prior to that Dr Champion was the Research, Development and Product Innovation Manager with The New Zealand Merino Company Ltd in Christchurch, New Zealand. Dr Champion has held teaching and research roles in animal production and related areas at the University of Tasmania, Australia. Dr Champion holds a BSc (Hons) and a PhD from the University of New South Wales, Sydney, Australia. Beef + Lamb New Zealand Ltd is the farmer‑owned industry organisation representing New Zealand’s sheep and beef farmers. Beef + Lamb New Zealand Ltd invests farmer levies to help develop a growing sheep and beef industry providing sustainable returns for future generations. Beef + Lamb New Zealand has four programmes – Farm, Market, People and Information – to deliver innovative tools and services to support informed decision making, and continuous improvement in market access, product positioning and farming systems for New Zealand’s sheep and beef sector. Alfred has had an extensive career spanning decades across the Asia Pacific region in industries such as telecommunications and agriculture. In his executive role at Telstra, Alfred led many strategic initiatives across the region. In recent years, his expertise has been directed at agriculture and facilitating the practical collaboration between both China and Australia. He has led business development, contract negotiations and trade delegations with many Chinese Provinces, including Shandong, Hebei, Inner Mongolia, Xinjiang, Heilongjiang, Qinghai and Gansu. Alfred has developed strategic plans to improve the meat sheep industry across various initiatives including operation systems, genetics and production. Since early 2013, his focus has grown to include the beef industry by developing joint ventures and holistic technical and management training in China’s key beef and dairy provinces. 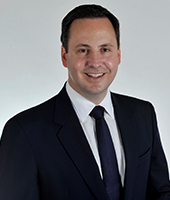 Steven Ciobo was sworn in as the Parliamentary Secretary to the Minister for Foreign Affairs and Parliamentary Secretary to the Minister for Trade and Investment on 23 December 2014. Mr Ciobo was first elected as the Member for Moncrieff in the Australian Parliament in 2001. He served as the Parliamentary Secretary to the Treasurer from September 2013 to December 2014. During this time Mr Ciobo made the ultimate assessment of Australia’s national interest on some 800 applications for foreign investment worth around AUD150 billion. He also served as an Alternate Governor to the World Bank, Asian Development Bank and European Bank for Reconstruction and Development. Adopting a recommendation of the 2007 Inquiry into the current and future directions of Australia’s services export sector by the House of Representatives Standing Committee on Economics, Mr Ciobo joined the Nelson Opposition frontbench as the Shadow Minister for the Service Economy. He subsequently served on the frontbench of the Turnbull and Abbott Oppositions, including in the small business and tourism portfolios. Before entering Parliament, Mr Ciobo built a professional career as an executive in the economic reform unit at international firms Coopers & Lybrand and, later, PricewaterhouseCoopers. 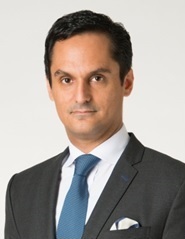 He holds a Bachelor of Commerce and a Bachelor of Laws from Bond University, as well as a Master of Laws from the Queensland University of Technology. Jamie was raised on a mixed cattle and cotton property near Emerald in central QLD. He has experience in the meat industry having worked in Australia, the USA and the Middle East in purchasing and marketing roles for value adding and meat processing companies. His most recent overseas posting was MLA Regional Manager for the Middle East North Africa and India. He is currently the sales and marketing manager for Arcadian Organic and Natural Meat Company based in Toowoomba. Arcadian is Australia’s largest organic meat company exporting to Asia, the Middle East and the USA as well as operating their own retail ready factory in Australia supplying Coles and Woolworths with branded and value added meat items. For the past 30 years, David has held executive and senior management positions across all mainland states in areas of; rural property management , beef cattle & sheep, meat retailing, processing and exporting of primary products such as meat , grain and fodder. 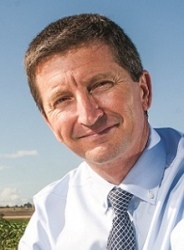 David has been in his current role of Chief Executive Officer at the Australian Country Choice group of Companies since 2002. Headquartered in Brisbane and employing over 1,200 staff, Australian Country Choice operates Australia’s largest vertically integrated beef supply chain; encompassing cattle breeding, cattle growing and Feedlotting to supply its integrated food processing facility in Brisbane that incorporates beef slaughter, beef boning, value-adding and case Shelf ready- Retail Ready packing. Away from his ACC duties, David represents beef industry interests in his role as Deputy Chairman and director of the Australian Meat Processor Corporation , Councillor of the Australian Meat Industry Council export beef processor council, Taskforce Chairman; Meat & Livestock Australia’s – South East Asia market taskforce ; Taskforce Chairman; Meat & Livestock Australia’s – Indonesia market taskforce , Deputy Chairman of the China red meat Industry working group and Deputy Chairman – Meat Industry -China FTA committee and board appointed representative Cattle Council of Australia marketing & market access committee. In 2010 David was awarded Rural Press Pty Ltd “Beef achiever of the year” in recognition of his contribution to the beef industry. Deb lives in Kingaroy in the South Burnett with her husband, Jason, and three daughters. She was born in Miles in south-west Queensland and raised on a beef cattle property where she attended Guluguba State School, before becoming a boarder at Ipswich Girls Grammar School. Deb completed a Business degree at the University of Southern Queensland and, together with Jason, co-managed broad acre cropping properties while completing a Bachelor of Law at Queensland University of Technology. As a Partner of Kelly & Frecklington Solicitors she concentrated on Family and Property Law also working with multi-generational farming businesses undertaking Rural Succession Planning. 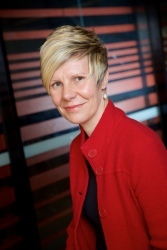 Appointed Assistant Minister for Finance in 2012, Deb oversaw the task of red tape reduction. Queensland Treasury assessed the reduction to community and business to be valued at $425 million per year. 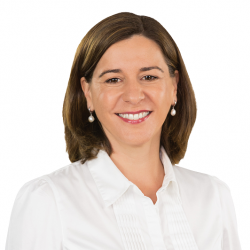 In 2014 Deb was promoted to the position of Assistant Minister to the Premier with oversight for the G20 in Queensland. The G20 held in Queensland has been commended as the most successful and safe G20 ever held. Deb was re-elected for a second term in January 2015 and has the role as Shadow Minister for Agriculture, Fisheries and Forestry. She believes strongly that regional communities offer endless diversity and opportunities and are the growth centre of Queensland. 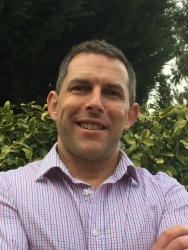 Brendan Goulding has been working in international trade and investment since 2001 and has recently joined Bentleys Queensland as the Director of International Services. 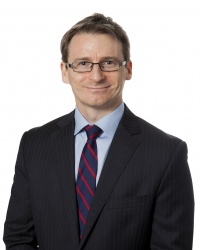 Employed by a number of Government agencies, Brendan has built much of his experience in the public sector working across a range of global markets, including Asia, Europe and the United States on trade, investment and government policy issues primarily focused on food and agriculture. Brendan has extensive experience working with a breadth of agriculture industries including the beef, dairy, horticulture, grain and processed food industries and is experienced in working with a diverse network of government, industry and commercial clients and stakeholders to pursue export market opportunities and attract international investment. Lucy Gregg is Manager, Marketing & Business Development for Reid Fruits which is a premium cherry producer in the Derwent Valley, Tasmania. Reid Fruits is vertically integrated and are responsible for growing, packing and exporting fresh cherries with over 1000T of cherries produced in the 2104-2015 season. Lucy’s role involves expanding new and existing overseas markets for cherries as well as developing other marketing opportunities including valued added products such as cherry cider and cherry juice. Lucy has had over 17 years’ experience in the fruit industry and developing fruit export opportunities. Prior to Reid Fruits Lucy was Business Development Manager with Fruit Growers Tasmania and Assistant Marketing Manager at Top-Qual Pty Ltd. Lucy’s job at Fruit Growers Tasmania involved the development of domestic and international markets for the Tasmanian fruit industry including marketing & promotions and market access negotiations. Lucy has travelled throughout Asia with an emphasis in NE Asia including China, Hong Kong, Taiwan, Japan and South Korea however SE Asia is emerging as an increasing market segment. 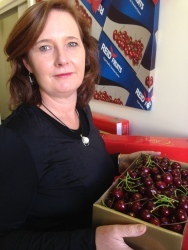 Lucy currently sits on the Board of Cherry Growers Australia (CGA) and was Chair of the Cherry Marketing and Promotions Committee for 5 years. She has also been a member of the Tasmanian Fruit and Vegetable Taskforce and the Horticultural and the Horticultural Exports Consultative Committee and founding Chair of the Primary Industry Biosecurity Action Alliance. 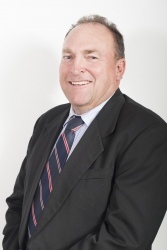 With 20 years of experience dedicated exclusively to agribusiness, he has acted in some of Australia’s largest and most complex rural transactions in various sectors including beef, cotton, almonds and grain, amongst others. This culminated in Brian completing the settlement of what was reported as possibly the largest farmland sale in the world, during 2014. Brian acts for local and international agribusinesses, primary producers and investors across their range of legal needs but predominantly in rural land, water and commercial matters. 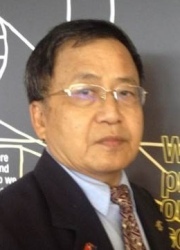 He acts for many international agribusinesses and inbound investors drawn from many parts of the world including China, Singapore and the United States, and advises and guides them on their investments in to agriculture in Australia. Brian regularly presents to client and industry conferences on agribusiness and legal issues. He is sought after for his legal experience which is delivered with the benefit of his longstanding industry knowledge and unwavering service commitment and delivery. Chris is an innovative, results oriented executive with 13 years international experience in Europe, China and Hong Kong. From an Engineering background Chris has led country entry to China for a European appliance manufacturer and an Australian retailer. As country head for three companies during his time in China and Hong Kong, he achieved transformational growth of the local organisations and supplier relationships while building sustainable in country organisations. With management experience in all aspects of supply chain, logistics, sourcing, product development, quality and P&L of in country organisations Chris has delivered significant savings and capability improvements in these roles. 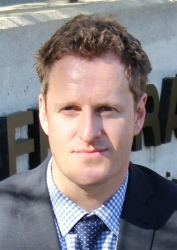 After returning from Asia, Chris completed the MBA at University of Queensland. During the MBA Chris also participated in the SEEP social engagement program. 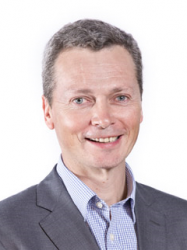 Now on the MBA Advisory Board and leading the board to establish the UQ MBA Conference for 2015, he has also helped to restructure the International Management course for the UQ MBA, and assists in delivery of this subject. Chris is also the named inventor on 6 patents and set up a backpackers hostel in the Czech Republic in 2001. Anthony has been involved with the fresh produce industry for over 18 years, now a Director of Alfred E Chave. He comes from a family who are dedicated to sourcing and supplying fresh, healthy produce from Australia and NZ, supplying locally and internationally for over 38 years. He works closely with suppliers and customers alike to ensure the best outcomes for all stakeholders within their supply chains. He knows the need to adapt and evolve as markets change and is excited about the developments and opportunities the future holds for fresh produce in Australia and is always looking to be ahead of the trend, sharing his knowledge throughout the industry. Anthony is at the head of innovation at Alfred E Chave – encouraging, developing and supporting the Australian production of freshly farmed produce to be shared within Australia and beyond. Andrew is the founder of The Silk Initiative, a Shanghai-based food and beverage strategic marketing and insights consultancy. He has been developing market entry, brand positioning, product development, packaging design and retail channel strategies from consumer and business insights for 18 years – spending 10 years in his field in Shanghai and 5 years in New York. Some of his most notable food and retail clients include Campbell-Arnott’s, Unilever, Coca-Cola, General Mills, Nestle & Campbell's, KFC, Starbucks, Diageo, Blue Frog and Wesfarmers. His previous roles include Vice President at the Nielsen Company (New York), Exec. Director Ipsos (China) and Managing Director MMR (China). Andrew is an an Australian Chamber of Commerce (Shanghai) Food & Beverage Committee member and is regularly asked to contribute to international chamber, government and trade association matters related to the Chinese consumer and brand development in the food and beverage sector. He is a fluent Mandarin speaker and holds a Double Bachelor in Asian Studies and Marketing. Pete Lewis comes to us fresh from a 30 year stint as a specialist rural reporter & producer for ABC News & Current Affairs. He's now heading up his own Brisbane-based freelance journalism consultancy - Way With Words. Over the years this award-winning journalist has covered all the major issues and events across regional Australia for popular national programmes such as ABC-TV’s Landline, 7:30 Report, AM , PM, The World Today, ABC News and the Country Hour. Peter is a former NZ & Pacific correspondent, producer on Australian Story and Executive Producer of ABC Olympic and Commonwealth Games, America's Cup & F1 Grand Prix coverages. Last month he represented Australia at the International Federation of Agricultural Journalists' Congress at Aberdeen, Scotland as a finalist in the IFAJ Star Prize for Excellence in Rural Broadcasting. Fluent in Mandarin, Ben has recently returned home to Australia after 18 years in China, to take up his role as Chief Operating Officer with TSBE. 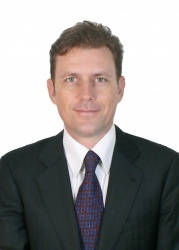 Previously, Ben was General Manager for Business Development and Strategy (Asia) for TSBE. Ben first arrived in China in 1997 as a Chinese language and literature undergraduate, and carries a diverse knowledge base and China experience having studied and worked in Nanjing, Xi’an, Beijing and now Shanghai. 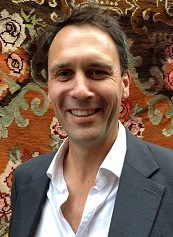 Ben previously worked in the education, fashion, agriculture and media industries in China with the Financial Times (UK), the Australian wool industry and the University of Queensland. 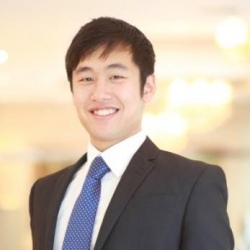 Ben has a PhD in Economics (UQ) and is an alumni of the Australia-China Council Business Scholar programme. He is originally from south western Queensland having grown up on his family’s mixed livestock and farming properties at Augathella and Glenmorgan. Leveraging 15 years of engineering and operations experience in the red meat processing industry, Michael joined Wiley in 2005. Since then, he has been involved in all aspects of the business; leading projects from concept to completion for a diverse range of industries and clients. As a Senior Process Engineer, Michael led the way in process and technology innovation and development, also managing the commercialisation of new technologies. In his current role as Business Operations Manager for Toowoomba and Regional Queensland, Michael is able to leverage Wiley’s wide ranging experience to provide international and best class processes to the exciting opportunities emerging in this corridor. As a local, he is passionate about assisting his region to develop strong agribusinesses, which will help create sustainable and resilient communities. Michael has been working closely with local government and private business to design and construct important community facilities and agribusiness infrastructure including saleyards, water treatment plants, heavy vehicle wash-down facilities and food processing and manufacturing projects. Andrew Monk has owned and managed organic horticulture, food processing and waste management businesses, while over the past two decades has been involved in organic auditing and standards. He has professional training in environmental, food safety and organic auditing systems. 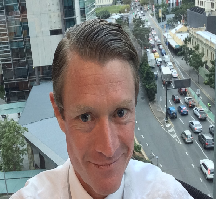 Andrew is managing director of Victorian environmental services company Mulching Technologies Pty Ltd, mulchtechnologies.com. He maintains organic certification of a small organic farm with Australian Certified Organic. 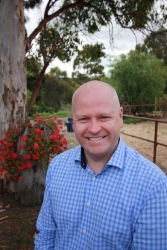 He has previously served the Australian organic industry via BFA Ltd as CEO, between 2000 and 2005, overseeing the creation of subsidiary Australian Certified Organic. Andrew is passionate about delivering rigorous, professional and member-focused governance and management for Australian Organic and protecting the Bud logo for clients. Peter manages the Dairy Australia Trade Program team in supporting Australia’s reputation as an internationally competitive, innovative and sustainable dairy producer. In this role he travels frequently to key markets including Japan, China and South East Asia. The main elements of the program are international trade policy, technical market access, and trade development. Priority markets for the Dairy Australia Trade program include Japan, China, and the regional markets of South East Asia, and the Middle East. to provide technical support and advice to industry and government on trade policy issues and technical market access issues. Prior to joining Dairy Australia Peter worked in a series of international trade and market access roles for the state Department of Primary Industries (Victoria). Peter has a degree in Business Studies from Monash University, with a major in marketing. Mr. Raymond Ng (Msc, BA) is a Food Regulatory Affairs Consultant at REACH24H with Master’s degree from University of Nottingham and has extensive knowledge on Chinese food regulations, especially on food import & export regulations. His research specialises on aspects on changes of governmental food policy and the impact it has on international businesses. Mr Ng and his team will share with you the CIQ importation procedure and highlight important areas to be particularly concerned about. He has vast insight and practical experience in dealing with Chinese food regulatory obligations and he looks forward to seeing you at the seminar. Kevin is an Executive Manager with the Institute of Agriculture and the Environment at the University of Southern Queensland. Kevin has worked in the food and agriculture industries for 30 years and he is passionate about contributing to the exciting future prospects for these industries. His previous positions include CEO of Suncoast Gold Macadamias, Director and General Manager of Operations of Stahmann Farms and General Manager of the Peanut Company of Australia. For nine years, Kevin was a member of the Australian Food and Grocery Council’s (AFGC) Health Nutrition and Scientific Affairs Committee. He was also a member of the AFGC’s Allergen Forum which was responsible for the establishment of the Allergen Bureau and the VITAL framework for trace allergen labelling. 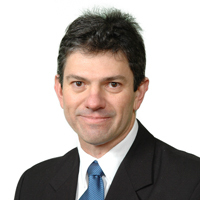 Kevin is also an Associate Fellow of the Australian Institute of Management. James has a Bachelor of Business majoring in Marketing from the Queensland Institute of Technology (now known as Queensland University of Technology). Originally from Brisbane, James lives in Shanghai. James has more than 20 years experience in providing premium sales and customer account management across small dynamic enterprises and large international companies. Having spent the last 15 years owning and operating small businesses in publishing and finance, James understands the issues confronting business in their endeavors to start-up and expand into new markets. In 2000 James launched Indesign Magazine, the leading design and architectural publication in Australia, and developed it into a global publishing, communication events success with a stable of additional key publications, contract publications and annual global exhibitions. More recently, in 2010, James followed his passion for coffee, luxury and innovation and launched a coffee supply and café business with partners in Brisbane, Australia. Lincoln Parker was recently appointed to head up Business Development at Trade & Investment Queensland, the Queensland Government’s global business agency helping companies export, find partners and investment to grow and create jobs. Lincoln’s prior roles in trade and investment include working for the Australian Government’s Invest Australia at the Consulates in San Francisco and New York and later for the Victorian Government where he opened Invest Victoria’s business office in Washington DC. He has global experience in cross border transactions, free trade agreements, defence industry development as well as trade and investment promotion worldwide. Educated at the University of California, Berkeley, Lincoln also represented New South Wales in rowing, but now proudly calls Queensland home with his wife and 3 children living on the Gold Coast. With a child on the Autism Spectrum both he and his wife are volunteers and advocates for stronger understanding, support and funding of ASD in Australia. 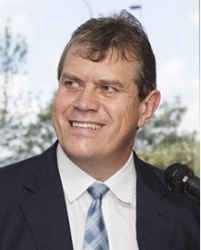 Dirk Pretorius’ vast experience across the dairy industry equipped him to successfully take the helm of leading dessert and beverage base manufacturer, Frosty Boy Australia in 2001. From Dirk’s earlier years, it was evident he would pursue a career in the dairy industry having grown up on a dairy farm in South Africa. He studied animal science at the University of Pretoria before becoming a shareholder with a dairy processing facility later sold to Parmalat. 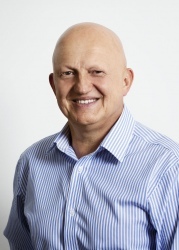 Soon after, Dirk was offered an executive role within distribution for Parmalat South Africa. In 2001, Dirk and his family moved to Australia where he became Frosty Boy CEO. When Dirk joined the company sales were 98 per cent domestic and two per cent export. With Dirk’s leadership, Frosty Boy has grown its export to supply to 48 countries, while its production equates to two million serves of soft serve ice cream each day. Dirk attributes Frosty Boy’s success to the company’s investment in new systems and people, with the recently expanded production capacity achieved through moving into a new state-ofthe-art, purpose-built facility in Yatala, Gold Coast. Dirk believes the value placed on integrity is the foundation for the company’s success. Frosty Boy places its priorities on customer service and support while developing innovative products with a view to increasing each customer’s profits. Married to wife Wendy, with two children, Dirk loves travelling, fishing, rugby and of course his role as head ice cream taster at Frosty Boy. 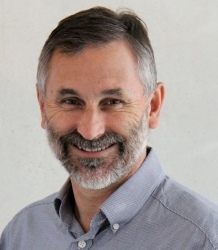 Professor Steven Raine is the Executive Director of the Institute for Agriculture and the Environment at the University of Southern Queensland. In this role he oversees multidisciplinary research programs developing future agricultural production and management systems, creating opportunities and efficiencies in the food and fibre value chain, and improving the management of risk and resilience in agricultural environments. Professor Raine is regarded by industry and government as one of Australia’s key agricultural research leaders and industry champions. His contributions to soils and irrigation research over more than 25 years have delivered significant productivity gains and efficiencies to the cotton, sugar, fruit and vegetable industries as well as the coal seam gas and mining sectors. He is recognised for driving industry reform and research that is helping Australian agriculture thrive as one of our most innovative and forward focused industries. All levels of government regularly seek his advice on matters related to irrigation, soils, water resourcing planning and productive co-existence between the agricultural and resource sectors. Professor Raine is dedicated to a positive sustainable future for global agriculture, achieved through building a broad community of trust based on collaboration and effective communication of science. Chris Riddell is Australia and Asia’s most sought after futurist, and award-winning industry recognized keynote speaker on digital. He is also a renowned strategist and global emerging trend spotter for businesses and leaders in today’s highly disrupted world. 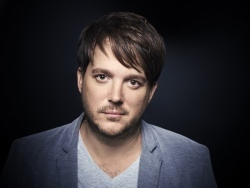 Chris Riddell is frequently called on as a futurist, speaker and expert commentator to give insights into consumer technology trends within traditional media. 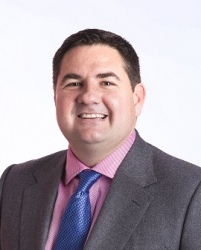 As a regular on Channel 7’s The Morning Show, The Daily Edition prime time shows, and ABC 774 Radio, Chris Riddell’s insights and expertise as a trend spotter extend far beyond the walls of the corporate world. As a recognised futurist and speaker on digital, Chris Riddell has transformed the platform for delivering keynote presentations, and what it means to be an inspiring speaker. His award winning events are highly acclaimed for being the most energizing and immersive experiences around. With a blend of unique story telling, customised immersive video, and exciting dialogue, audiences are guaranteed to walk away feeling inspired, stimulated and energised for the future that lies just ahead. 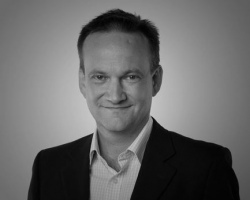 Chris Riddell is a senior advisor to businesses across industry verticals, with consulting expertise across the technology, transportation, manufacturing, healthcare, finance and communications sectors. He is a current board member of the Museum for Australian Democracy at Eureka, and writes columns for online digital agencies and corporations, providing deep insights into the world of digital, disruption and future change. Richard SAMPSON GENEST joined the Nut Industry in 2005 after 8 years working in specialty food import and distribution, and before that in fish farming. He is currently Deputy CEO and Director of Sales and Marketing at Stahmann Farms Enterprises and Business Manager for China for Green & Gold Nuts, a transnational marketing company representing Australian, African and South American macadamia and pecan producers. Stahmann Farms is the major grower and processor of pecans in Australia and a macadamia processor since 1988. It also manufactures and supplies consumer nut products to Australian and international retailers under private label and proprietary brands. Richard is a member of the National Pecan Shellers Association (USA), a director and former chair of the Australian Nut Industry Council and a member of the Australian Macadamia Society Marketing Committee. 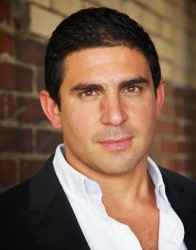 He holds an honours degree (TAS) in language and literature and an MBA (QLD) in marketing. Lisa Sharp joined MLA in April 2015 and leads the Central Marketing and Industry Insights team. This team is responsible for the provision of information and insights to industry participants to aid strategy and program development and decision making. This team is also responsible for the development and execution of nutrition strategy and initiatives and the development and implementation of data led, trade and consumer marketing programs. Lisa has an extensive background in consumer goods marketing, insights and general management and has held executive team positions in a number of Australian and multinational organisations including SPC Ardmona, PZ Cussons and Novartis Consumer Health. As General Manager, Marketing and Innovation at SPC Ardmona, Lisa led the reinvigoration the Australian packaged fruit category through product, packaging and nutrition marketing innovation and successfully extended the global footprint of the SPC “Natures Finest” brand. Lisa also led the introduction of numerous programs to improve yield and to deliver consistent eating quality. Lisa has a passion for food and nutrition which was sparked early in her career with business analyst and brand management roles at Kraft, Uncle Tobys and Coca Cola. Lisa holds a Bachelor of Economics from Monash University. Jo is the General Manager for Agribusiness and Export at regional economic development organisation Toowoomba and Surat Basin Enterprise. As a part of her role with TSBE and previous work experiences, Jo has extensive contacts in the agriculture and agribusiness industry and works to ensure that development opportunities for the agriculture sector are delivered in the region. Jo was previously the Mayor of Paroo Shire Council, has worked as an economic development officer, and has also run her own agricultural consultancy business. 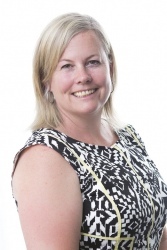 Since August 2014, Cheryl has been acting Assistant General Manager Trade based in Brisbane with Austrade. 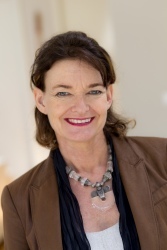 She has responsibility for leading the work of Austrade’s Food & Agribusiness; International Health; and Services Teams. Cheryl also has oversight of Austrade’s Women in Global Business Program and Match Australia (Sports Diplomacy) Program. Cheryl recently returned from a short term assignment with Austrade in Washington DC as Senior Trade & Investment Commissioner (March – July 2015). Prior to this, she was appointed Austrade State Director, Queensland and Northern Territory, joining the Austrade Brisbane office in May 2009. In this role, she is responsible for Austrade’s operations in Queensland and Northern Territory and managing Austrade’s key stakeholder relationships in these jurisdictions. She is also Manager, State Director Unit, with Austrade’s national network of State Director’s reporting to her. Cheryl also has a leadership role in relation to Austrade’s work on the development of Northern Australia. Before moving to Brisbane in 2009, Cheryl was based in Austrade’s Singapore office as Trade Commissioner - Singapore for four and half years. From 2001-2004, Cheryl was Austrade’s ASEAN Regional Information Manager, also based in Singapore. Cheryl served as Trade Commissioner Japan based in Osaka from 1991-1995. She has a comprehensive understanding of business relationships in the Asian context having lived and worked in North East and South East Asia for over 15 years. In her 20+ year career with Austrade, Cheryl has had a variety of roles including client facing; government liaison and strategic development, having worked in Canberra, Sydney and Brisbane offices. Her industry expertise through her roles in Austrade include food & beverage, ICT, infrastructure; defence, marine, automotive, oil and gas and sports. Prior to joining Austrade, Cheryl worked in various marketing and business development roles for the Yokohama City Government, Japan; as well as Southern Pacific Hotel Group/Daikyo Corporation on the Gold Coast, Queensland. 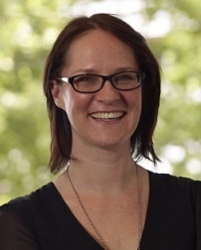 Cheryl has a BA in Japanese; and a Graduate Diploma in Applied Economics, both from University of Canberra. 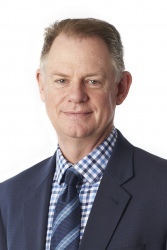 Simon Talbot was appointed the new Chief Executive Officer of the National Farmers’ Federation (NFF) in September 2014. Prior to joining the NFF, Simon was a director at Mondelēz International (previously known as Kraft Foods & Cadbury) for seven years, heading the corporate affairs function for Australia and New Zealand and leading agricultural investment in the Asia-Pacific, where he was responsible for the development and execution of food strategies in Australia, New Zealand, China, Vietnam and Indonesia. Simon is an extensive contributor to food manufacturing and Asian Century policy. 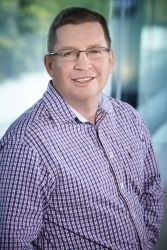 He has led the development of an extensive and collaborative white paper addressing how Australian food processing and associated agricultural supply chain can substantially improve its innovation capacity and competitiveness as an industry. The paper outlines economic and other critical requirements required to develop a successful innovation hub and a strategy to advance food manufacturing in Australia and into Asia. Simon was instrumental in the design and launch of Mondelēz International’s Asia Pacific Food Innovation Centre at Ringwood in 2013, following the company’s largest ever Australia investment in new technologies and innovations. The centre brings together farmers, industry, higher education, technology and collaborative programs to deliver world-class innovations. Simon has extensive knowledge of the success of Asian R&D centres, leading study tours to investigate hub and network innovation centres in Singapore and China. Simon has previously held advisory roles at Federal and various state government levels, providing insight into manufacturing, sustainable food production in the Asian century and economic development opportunities. Prior to working for Mondelēz International, Simon was employed in corporate affairs and sustainability for mining, forestry, construction and consultancy fields. He possesses a Bachelor of Science and was the dux of his MBA course specialising in organisational strategy. These qualifications have enabled him to work in over seven countries across diverse issues from indigenous rights, corporate branding, through to critical incident management and sustainable economic systems. As a Director of the Australian Association of National Advertisers and board member of the Advertising Standards Bureau, Simon has supports the development and promotion of advertising codes and the broader agenda of protecting Australia’s $50 billion advertising and marketing industry. 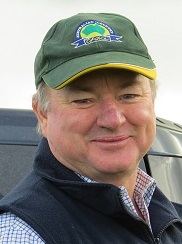 Simon and his wife and four children operate a Murray Grey stud in Northern Tasmania and have a number of agriculture supply chain investments. Kylie Taylor is a Partner and Group Managing Director at Asia-Pacific communications advisory firm, Baldwin Boyle Group. For more than 30 years, Baldwin Boyle Group has been providing communication advice and counsel to leading businesses across Asia and the Pacific. Kylie leads a 50-strong team based in offices in Auckland, Bangkok, Melbourne, Shanghai and Singapore. The company combines an in-depth understanding of Asia-Pacific markets and deep knowledge of contemporary best-practice communication to deliver sharp results that drive real business outcomes for clients. For the past 23 years, Kylie has led major strategic communications programs in Australia and Asia across a range of sectors including the food, fast moving consumer goods, food supply chains, commodity markets and agribusiness. She has extensive experience advising boards, chief executives and senior management in times of change and growth. She has lived and worked in Singapore, Thailand, and Japan and now lives in Melbourne, Australia. She holds a Bachelor of Arts (Communications) degree from the University of Technology, Sydney. Patrick Vizzone is the Regional Head of Food & Agribusiness, Asia, Global Institutional Banking, at National Australia Bank. Patrick was born in Australia and has resided in Asia since 1994. He has over 20 years’ experience in agribusiness and corporate and investment banking. Patrick has served in senior leadership roles with Rabobank and the General Electric Company (GE Capital). Before embarking on his banking career, Patrick worked in the horticultural industry in Australia and China. He was a founding Director and Deputy General Manager of Shanghai Asia-Pacific International Vegetable Co. (SAPIV) and a cofounder of China Green Concepts. 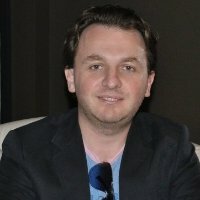 Gennady Volchek is founder and CEO of Authenticateit, the company behind Consumer Centric Mass Serialization Platform. Built around the strong foundations of GS1 EPCIS global standards, the Authenticateit platform is an advanced serialisation and track and trace solution, operated by brands via the back-end of the Authenticateit platform, allowing them to manage their brand protection, regulatory compliance and supply chain integrity. Based in Melbourne, Authenticateit is helping many Australian companies provide a traceability function providing international customers with food security and origin confidence. John is the Chairman of Wagner Global Services and one of the founders of the Wagner Group of Companies, also known as Wagners. Wagners is a diversified group of companies comprising cement, flyash and lime production, contract crushing, on site concrete supply, bulk haulage, reinforcing steel, precast concrete, composite fibre products and an oil and gas engineering services business. Wagners is based in Toowoomba and has operations in Australia, Malaysia, PNG and Mongolia. The company employs in excess of 1000 full time staff plus subcontractors and has just built an airport in Toowoomba which is the first greenfield public airport built in Australia in the last 47 years. Wagners are the owners and operators of this facility. John Warda has had an extensive career in the Australian Grains & Supply Chain Industries which has spanned over 42 years, the majority of which have been spent in senior management and Executive roles in logistics and operations. John is currently the Director - Global Supply Chain for Emerald Grain, a fully owned subsidiary of Sumitomo Corporation, and one of Australia’s leading integrated grain accumulation, marketing and logistics companies. His current role is focussed on growing Sumitomo’s and Emerald’s integrated and supply chain businesses both here and overseas. Prior to joining Emerald in 2011, John held the role of Executive Manager Group Operations with publicly listed ABB Grain, which involved managing all the operations for the ABB Group of companies’ supply chain, malting and feed divisions. He stayed on in a transitional role when the company was purchased by Canadian agribusiness Viterra in 2010 prior to joining Emerald. 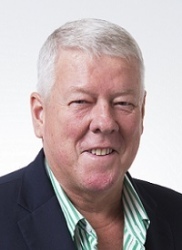 John’s industry experience sees him currently holding several directorships including Chairman & Finance Director of International Cargo Handling Coordination Association Australia (ICHCA) and Director on the Board of ICHCA International. A member of the Australian Institute of Company Directors, he also sits on the Boards of several of Emerald Joint Venture companies, including Quattro Ports, which is currently constructing a new grain terminal at Port Kembla, due to be commissioned in late 2015. In October 2014, John was elected onto the Board of Grain Trade Australia, the major Grain industry representative body in Australia and chairs GTA’s Transport, Storage & Ports Technical Committee and is a member of the Business Development Committee. 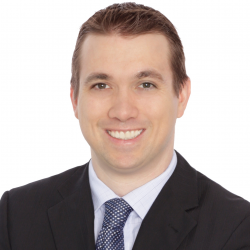 John also serves on a number of Industry/government consultative committees. In addition to his hectic work life, John’s enjoys running marathons to offset his other passion of drinking fine wines and beers. Maree Wilson is a Partner in Asia-Pacific communications advisory firm, Baldwin Boyle Group and she leads the company’s China operations. She advises clients across the Greater China region on strategic public relations, corporate communication and crisis management. Over the past decade she has worked in China, Australia and New Zealand with a heavy focus in food and agribusiness. Maree has specialist experience in corporate reputation management in China and has a strong understanding of the Chinese media and social media landscape. She has handled communications for large-scale Mergers & Acquisitions and food safety crises in the agriculture sector in China. She is passionate about helping Australian exporters understand and navigate the nuances of communication in the Middle Kingdom to accelerate their success. Maree holds a Bachelor of Arts in Political Science and Media Studies with first class honours from Victoria University of Wellington, New Zealand. Tony farms at The Risk, near Kyogle milking a herd of 260 cows that are Holstein based, with a crossbreeding program in place. Tony and his family operate a robotic dairy that has generated considerable interest amongst the regional dairy industry and the general public alike. Previous to farming Tony studied for a BA, Dip Ed at UNE, Armidale. Tony also has an interest in agri-politics which has developed over many years and has been focussed on the welfare of the dairy farming community in general. He is presently Deputy Chairman of the Norco Co-operative. 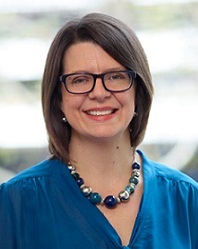 Alice Woodhead took up the role of Professor of Value Chains at the University of Southern Queensland in February 2015. She leads a research team at the Australian Centre for Sustainable business that specialises in developing value added agricultural products for export to Asia. Alice has a PhD in Agricultural Systems from the University of Western Sydney and she was an OECD Co-operative Research fellow studying at the OECD in Paris. Alice occupied strategic agricultural research positions for the New South Wales and Commonwealth Government agencies. She has also worked extensively with the private sector in resource management, infrastructure, transport and rural development.